MASTERS LEAGUE plays (7 game seasons) on Wednesdays. You can be a Masters team and play on other days (see 3rd section below). Masters teams- will play against other Masters teams- in 2017, 2018 & 2019, you will play mostly Masters teams but you will also play against regular teams. By 2020, Masters Team will only play against other Masters teams (each year- we intend to grow this currently 6 team league by 2 teams so by 2020, we hope to have 12 teams). 'Under 40 rule': players under the age of 40, are handicapped to score 15 points maximum per game. This rule is only for when a Masters team plays against another Masters team. This means that when a Masters Team is playing against a non-masters/ regular team, your under 40 players can score however many points- you want, of course. What if my team cannot play on Wednesdays? a Masters Team that cannot play Wednesdays (and instead plays on the other days) can expect 1 to 3 games against Masters type teams (becuase those other days do not have a lot of Masters teams like the Wednesday league does)- and probably 4 to 6 games against regular teams; that being said, teams from all 7 days will be a part of the Top 25 Masters Rankings system. How is Championship determined: there are 2 champions crowned per season; one champion is the team that finishes ranked #1 (from the Top 25 Rankings). The other champion is the best team from the Wednesday Masters League (on your 7th game, the top 2 Wednesday Masters teams will play for the Masters Championship). You will use the PicktoPlay page to sign up for this option. To understand how to use that page (how to sign up) text us 5035978819 'how do I sign up for PicktoPlay'. PicktoPlay is a way that individual players can play on a team- they 'pick' whatever game they want to play on... So in your case- you can pick to play on the Wednesday night Masters Team if you would like... you will notice on this PicktoPlay page- that there are 30 other games to choose as well. About the top 25 rankings: all Masters teams (from all days, not just Wednesdays) will be ranked #1 through #25 (from all the days). At the end of any given season- after everyone has played their 7 games, your team will 'finish' in the top 25. There is no award but its fun to see how you rank. Who: Ages 40 & above- text your cell number to 5035978819- so we can put you on a database for when we 'form teams' (from individuals) to play in out of town tournaments. If you have your own team, text us that as well, so we can notify you of upcoming tournaments. Next Tournament: a single day Tournament in Bend (starts 9am on Saturday) (finished around 3pm Saturday) = whole evening FREE to enjoy Bend Saturday June 10th, 2017 (single day- so your night and next day is free to enjoy Bend Oregon). Location of tournament will be at- Bend Hoops (a beautiful basketball facility). Cost will be $60 per individual (each team will carry 4 players meaning we will only have one subsitute per team). 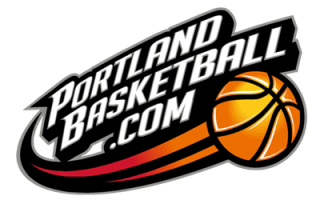 Will PortlandBasketball.com put a team in this Bend tournament June 10th, 2017? the answer is yes so if your interested, get your payment in now to hold your spot. We anticipate getting between 3 and 5 teams in this tournament. Each player would be on their own to get to Bend- and get their own hotels- etc. but feel free to ask Mikal at 503-380-4539 for recommendations for great places to stay- etc. We will also meet socially the night before. Come enjoy a nice night in Bend Oregon.